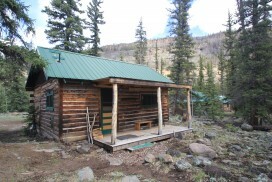 Two double beds, one single bed, gas range, refrigerator, wood heating stove, bathroom with tub & shower. Two private bedrooms. Overlooking Little Squaw Creek. 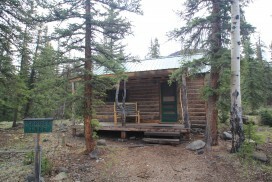 Three double beds, gas range, wood heating stove, refrigerator, bathroom with shower. One private bedroom. Overlooking Little Squaw Creek. 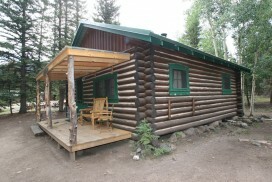 Three double beds, electric range, wood heating and cooking stove, refrigerator, bathroom with tub & shower. One private bedroom. Near Little Squaw Creek. 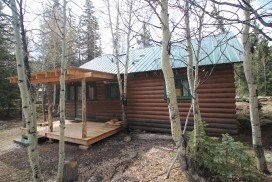 Two double beds, one single bed, gas range, wood heating stove, refrigerator, bathroom with tub & shower. Large kitchen area. Open floor plan. A short walk to the Rio Grande River. 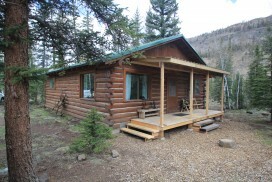 Four double beds, one single bed, gas range, gas heater, refrigerator, bathroom with tub & shower. 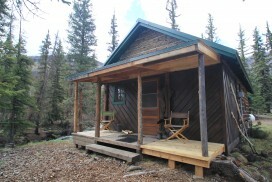 Loft bedroom, one private bedroom, sleeping porch with two beds. A short walk to the Rio Grande River. 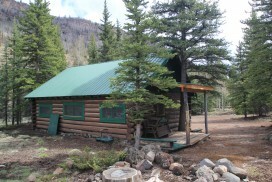 Three double beds, gas range, free standing fireplace, refrigerator, bathroom with tub & shower. Two private bedrooms. A short walk to the Rio Grande River. 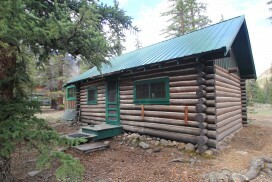 One king bed in a private room, two double beds in second bedroom, futon couch, electric range, electric heat, freestanding fireplace, refrigerator, bathroom with tub & shower. Two private bedrooms. Nestled in the woods.